The Football Association of Zimbabwe (ZIFA) has been dissolved and a new National Football Association of Zimbabwe (NAFAZ) has been established. 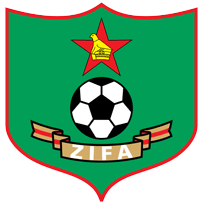 The News Day website reports that ZIFA was dissolved last weekend and president Phillip Chiyangwa says the plight facing former ZIFA employees is not his issue. According to the report, the debt-ridden football governing body was dissolved last Saturday with the president saying the workers contributed in the organisation's downfall. “The ZIFA employees and all those who were owed by that organisation are no longer my problem - that is the liquidator’s baby,” Chiyangwa said. “I do not want to talk about the ZIFA employees, but what is surprising about this whole thing is that these people kept on going to work for an organisation that they knew was dead and had no capacity to pay them. “They were part of the problem. They participated in mismanaging that organisation. They plundered that organisation because I fail to understand the interest of someone in working when they are not paid. On the other hand, Chiyangwa added that the they will work in the new organisation without the weight of the ZIFA debt on their backs. “We left an organisation that was insolvent. We did not create those debts. We did not want to be associated with those debts,” adds Chiyangwa. “And neither did we want to be bothered about anybody thinking we should have stuck with it.